Free Gift for IJA Tutorial Contest Donors! 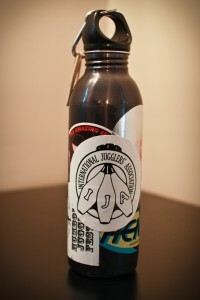 The IJA logo sticker in its native habitat! The Video Tutorial Contest, while supported by scores of generous vendors, isn’t without its overhead costs. Shipping prizes to winners all over the globe adds up quickly – this is a major expense incurred by the IJA and its vendor sponsors. 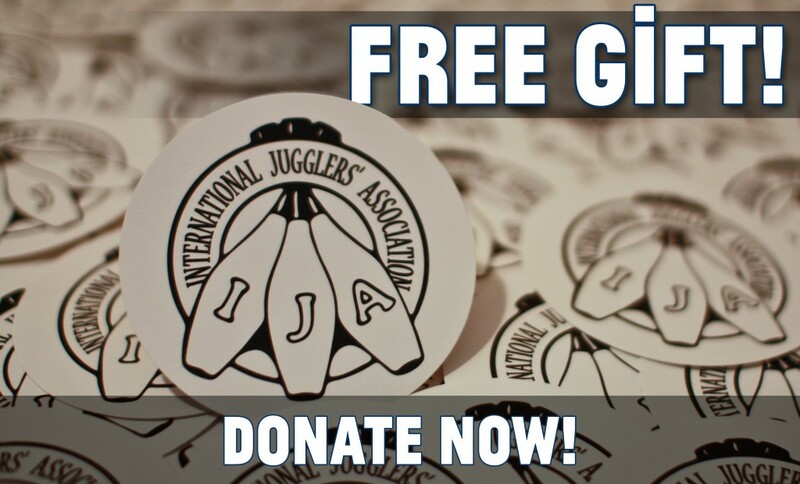 Jugglers who donate $5 or more to help the IJA Video Tutorial Contest cover its costs will receive a complimentary IJA logo sticker as a special thank-you! After prize shipping costs are paid for, money donated to the contest will be specifically earmarked to help the Video Tutorial Contest to expand through future years. We’ve got some big plans for next year’s contest, which will make the IJA’s annual Video Tutorial Contest even more exciting for jugglers all across the planet. These plans include new incentives to submit tutorials, special edition IJA and VTC merchandise, and some other ideas too secret to announce just yet! Of course, none of this can happen without your support! Please consider making a tax-deductible donation to the IJA’s Video Tutorial Contest! This high-quality indoor/outdoor vinyl sticker can be put just about anywhere a sticker can be stuck! 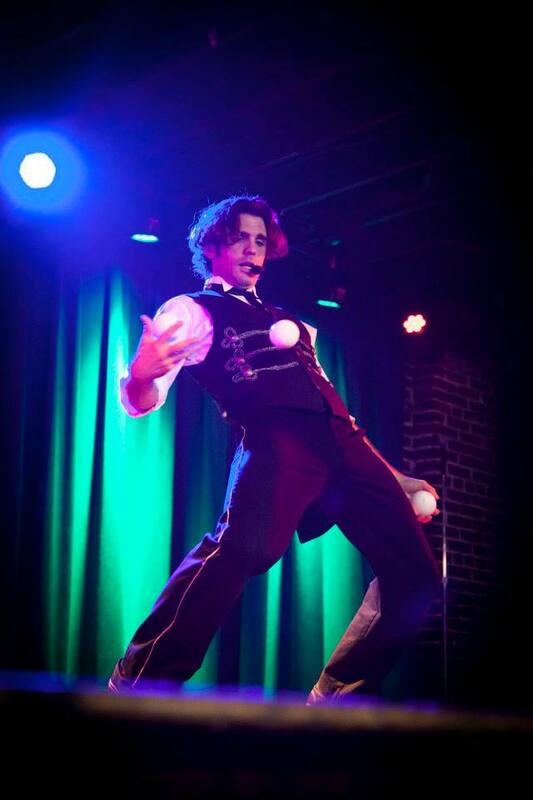 Car bumpers, water bottles, juggling clubs, cyr wheels… you name it! Show your love for the IJA and its programs, which cater to jugglers across the globe. Donations of any amount are graciously accepted, and are tax-deductible to the full extent of the law, at the IJA holds 501(c)3 status, and can be made through the IJA Store by clicking the image below!